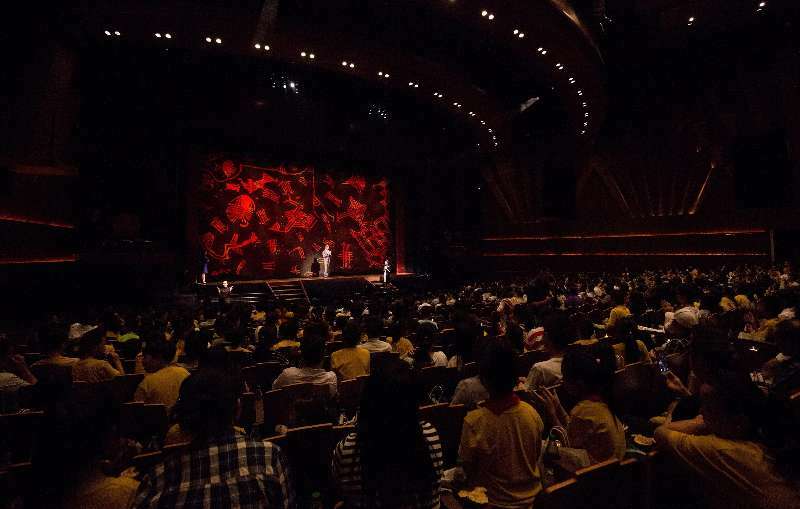 Shanghai Disney Resort today presented a special charity show of the Mandarin production of the Broadway musical The Lion King, celebrating its first anniversary with a full house at the Walt Disney Grand Theater in Disneytown. The special event was planned in partnership with Shanghai Charity Foundation. The charity show is part of Shanghai Disney Resort’s long-term commitment to bring care and magic to support children and families in need in China. Since the premiere of the mandarin version of The Lion King as Disney’s landmark musical event during the grand opening of Shanghai Disney Resort last June, this highly-acclaimed musical has resonated deeply with Chinese audiences and is one of the longest-running Broadway shows ever in China. The show tells the story of the brave and optimistic young lion Simba, who fearlessly fights to save the lives of many in his kingdom. The story is told through immersive show elements, including intricately designed masks and puppets, delighting and inspiring many in the audience who face challenges in their lives. Today the show welcomed over 1,000 disadvantaged children and their caregivers from Shanghai Children’s Medical Center, Children’s Hospital of Shanghai, Children’s Hospital of Fudan University, and many districts of Shanghai. Shanghai Disney Resort VoluntEARS were also actively involved in providing onsite assistance.